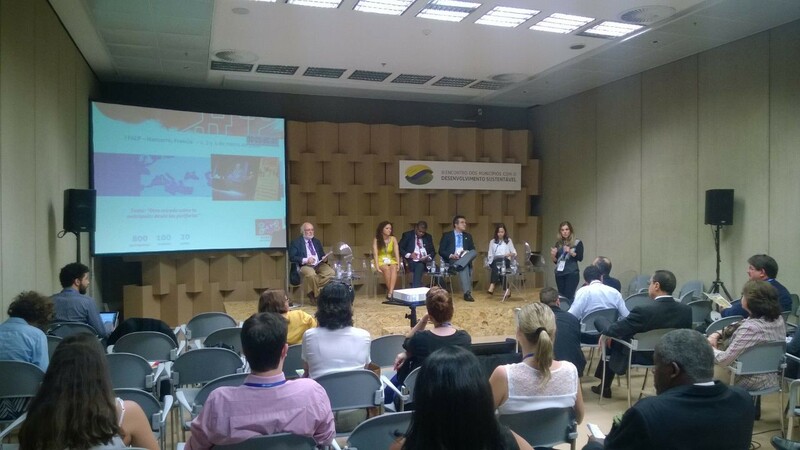 On 7, 8 and 9 April, the third Meeting of Municipalities with Sustainable Development (III EMDS) took place in the city of Brasilia. The event was organized by the National Front of Mayors (FNP) in partnership with SEBRAE and more than 109 Brazilian and international organizations, including UCLG. 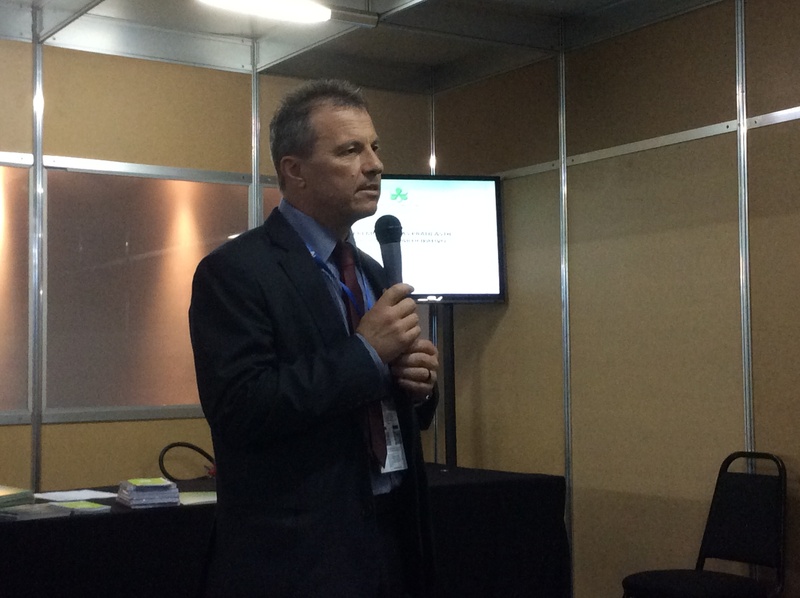 This event is recognized as the largest gathering of local governments focused on sustainability in Latin America. For this edition, over 9,000 participants from 16 countries registered to take part, and more than 500 mayors and 600 speakers were present over the three days. UCLG was invited to participate in the thematic forum entitled: "The role of local governments in the new international agenda". This forum was divided into four round tables bringing together public managers, academics, representatives from relevant institutions, networks of cities and organized civil society. The panel discussion on "The participation and commitment of local authorities in networks and international agendas" moderated by the Mayor of Inhambane (Mozambique), Mr. Benedito Guimino, saw the participation of the following speakers: Mr. Vicente Trevas, Deputy Secretary of International Relations of São Paulo; Alessa Bennaton, representing UCLG; Deise Martins, Special Secretary for International Relations and Cooperation of Canoas; Rodrigo Corradi, Coordinator of International Relations of the city of Porto Alegre; and Bruna Cerqueira, Manager of ICLEI’s policies and strategies. The issues discussed with greatest emphasis were the participation of local governments in the definition of the Millennium Development Goals (MDGs) and the role of municipalities in the construction, implementation and monitoring of the Sustainable Development Goals (SDGS). The speakers highlighted the importance of raising citizens’ awareness about the matters that will be addressed during the third United Nations Conference on Human settlements and Housing (Habitat III) and the need for municipalities, together with citizens, to become participants in the construction of the New Urban Agenda, uniting efforts and articulating their participation in spaces for consultation and dialogue. UCLG emphasized the importance of including small towns and intermediary cities in this debate, since they will receive the greatest amounts of citizens in the coming years. The meeting was also an ideal occasion to share the methodology of the Toolkit, developed by UCLG to support its members and partners who wish to contribute to development and the Global Agenda. In addition, representatives from cities and networks reinforced the importance of networking and cooperation between cities and associations to capitalize on progress achieved, and to share lessons learned during the pursuit for more sustainable cities with better a quality of life for their citizens. The mayor of Inhambane highlighted: "Collaborating with Brazilian cities has led us to think about management and citizen participation in a different and innovative way; and we can already see the results of the cooperation we began with Porto Alegre in 2011". Successful experiences were shared through the "path of the cities" and "The "square of good practices". The interaction between participants was promoted through collaborative work spaces, distributed in different parts of the venue, the Ulysses Guimarães Convention Center. On 8 April, the Brazilian network for participatory budgeting launched the first prize for best practices in participatory budgeting, for which cities in Brazil and around the world are invited to share their methodologies and participatory processes. Nominations can be submitted until 30 June. During the event, the 67th FNP General Meeting took place, in which the Mayor of Belo Horizonte, Mr. Marcio Lacerda, was elected as the new President of the organization for the period 2015-2016.